Magnificent Monday is here again. Hosted by Jim over at Holes in My Soles This weeks theme is “colors”. Also, notice that there is a lot of yellow featured at several of these temples. Yellow is an important color in Korea, symbolizing aspects of pride, nature,and accomplishment. 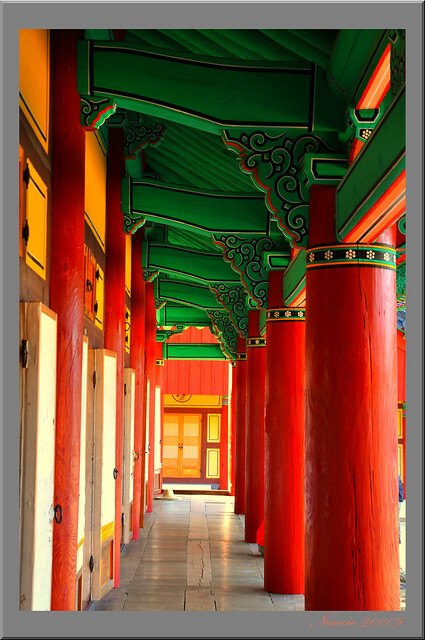 Find out more here: The color yellow in Korea. One of the most important temples in Korea. You can find more info. here: Hwaeomsa Temple. Another important temple here in Korea. More information is available here: Bulguksa Temple. Which do you prefer? The newly painted Hwaomsa or the slightly faded Bulguksa? In my neighborhood…Many Korean neighborhoods have their own temples. This one is located a short walk from my apartment. I have no idea if it has a name or not. 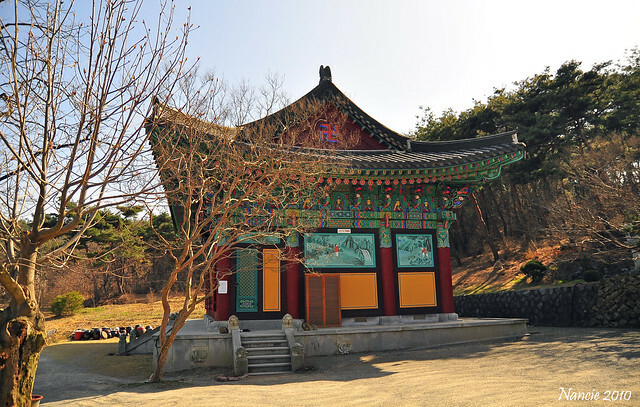 Admission to temples in Korea is usually free, and a great way to spend a day or an afternoon without breaking your budget. You can also participate in the very affordable temple stay program. Find out how: Temple Stay. Previous Post: « And the Winner of “Getting Out of Auto” Is….. Stunning Colours and patterns, brilliant but they still seem to compliment nature as in the last: the temple still seems to be part of the environment..
Jim is right, stunning colors. I love the patterns, what a wonderful place to see, thank you for the visit. 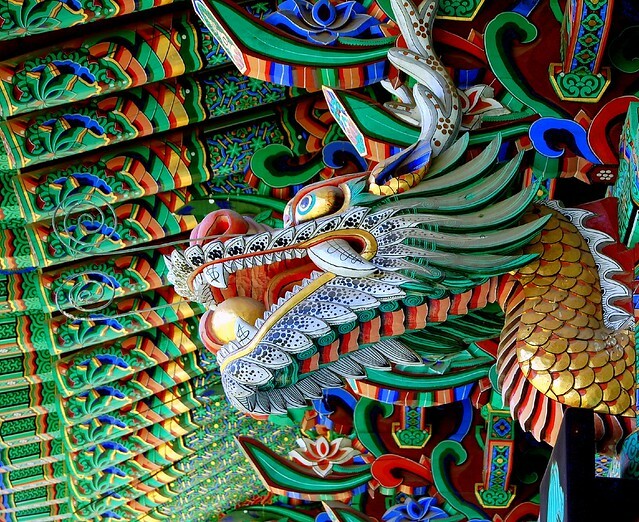 Great post on colors love the vibrant colors in and on the temples they look like great subjects. I am guessing you spent a lot of time photographing them!!! Jim, It’s hard not to photograph temples here. There are so many, and they beautiful. Thanks for your kind words Denise! Do visit sometime. The dragon is stunning! The colors are so rich and vibrant! Your photography is wonderful. I’m following your blog and look forward to future posts. Thanks for your kind words Mari. I will definitely start following your blog. I have visited and your work is lovely. Beautiful photos. So colourful. We were invited to go to South Korea this summer but missed out due to the Mongol Rally. Now I am really wishing that we could have made it! Thank you! Do try to make it here sometime. Korea is a fascinating country. Gorgeous bright colours. Love that dragon photo. I really should put Korea on my travel itinerary soon. Beautiful photography with jump-off-the-page, brilliant colors! Wish I had time to join this gang Jim started but, I have a hard enough time catching up with my TPThursday friends ! Thanks Mike! Yes, it can be hard to keep up with all that’s happening in the travel/photography blogging community. I’m a huge sucker for colorful photos. I have to force myself to try different things like black and white in my photography because I love when colors pop. Great photos! Wow! The color in these shots is amazing!